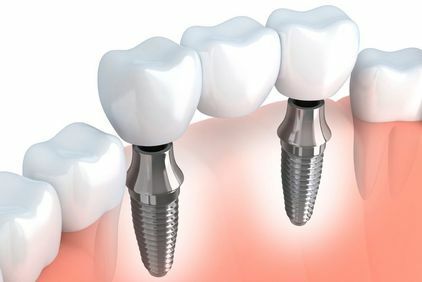 Dental implants are small, titanium posts that are surgically placed in your jaw to replace lost tooth roots and provide superior support to restorations. Dr. Ryan Osinski provides every step of dental implant treatment from his office. He places, restores, and is able to provide all preparatory procedures without the need for referrals. Dr. Osinski also has extensive training in implant placement, and is a fellow of the International Congress of Oral Implantologists. Crowns cover your entire tooth to provide necessary strength and protection after treatment for decay and damage. Dr. Osinski offers multiple types of materials for crowns, but recommends all-porcelain restorations. These crowns are very durable and highly aesthetic, blending with your smile better than metal restorations. Dr. Osinski is also able to provide high-quality crowns to restore dental implants for a long-lasting smile. A bridge is made of multiple crowns fused together to replace one or more consecutively missing teeth. These restorations can be fabricated from a variety of materials and rely on surrounding teeth for support. Dr. Osinski is able to provide essential restorative treatment with new bridges, as well as replace older, failing restorations. He also places implant-supported bridges, which provide superior results and do not require the alteration of healthy teeth for support. Dentures are able to restore vital function and aesthetics after tooth loss. My Saratoga Dentist PLLC offers a full range of dentures, including full, partial, traditional, and implant-supported prostheses. He also provides fixed and removable implant-supported dentures. 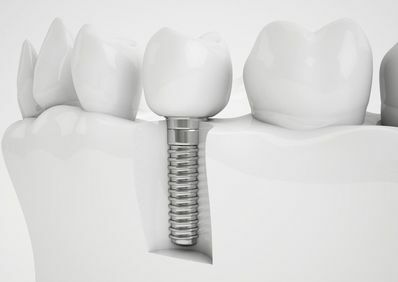 If you previously received a traditional prosthesis, and want to enjoy the superior support and comfort provided by dental implants, Dr. Osinski can convert your current restoration to be retained by implants. Full mouth reconstruction is able to treat widespread decay and damage through a combination of two or more restorative procedures. Dr. Osinski is highly trained and able to perform a wide variety of treatments, including complex surgeries to restore bone density and oral health. 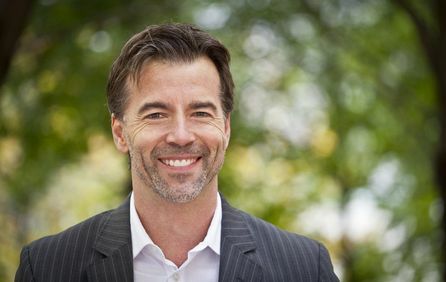 He will work closely with you to develop a detailed treatment plan, and can even provide cosmetic treatment to help you achieve optimal aesthetics, as well as functional results. We offer a full range of treatments for all stages of gum disease. Dr. Osinski may combine Arestin®, a topical antibiotic, with scaling and planing for mild to moderate cases. In more advanced phases, he may perform oral surgery such as flap surgery or tissue regeneration. Dr. Osinski is highly trained and able to provide all aspects of treatment with gentle, effective care. We also have a periodontal maintenance program to track any changes in your oral health. Tooth decay can lead to infections that reach the dental pulp located in the canals of tooth roots. 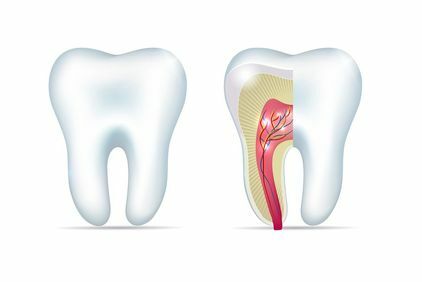 Root canal therapy is a conservative treatment to preserve teeth damaged by infection. We will provide anesthetic and sedation for your comfort before gently removing all decayed and infected tissue from within the tooth. 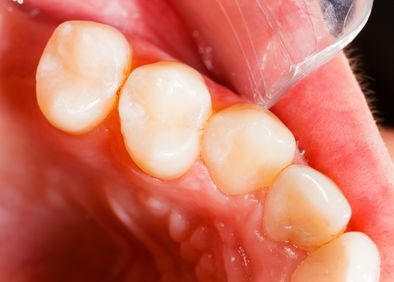 Dr. Osinski will also restore vital structure, strength, and protection to your tooth by filling the canals, and providing a high-quality, durable crown. 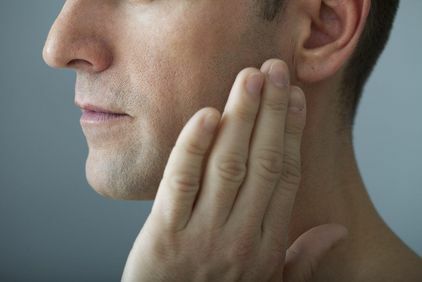 Temporomandibular joint (TMJ) disorders can cause chronic jaw pain, headaches, difficulty eating, and many other symptoms. Dr. Osinski is able to treat TMJ disorders with an occlusal mouthguard. You will typically only wear this device at night to realign the jaws and prevent dental damage from clenching and grinding your teeth. By realigning the jaws, the guard can relieve strain on the jaw joints, alleviating pain and improving your quality of life. 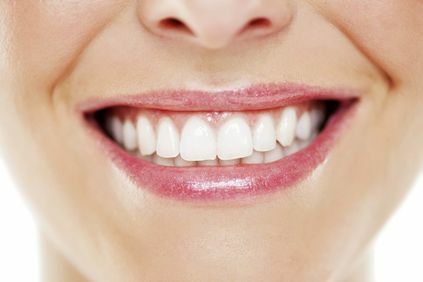 My Saratoga Dentist PLLC provides tooth-colored fillings to restore the structure of a tooth after treatment for cavities. These high-quality restorations are made of a composite resin that is durable and can be matched with the rest of your smile. 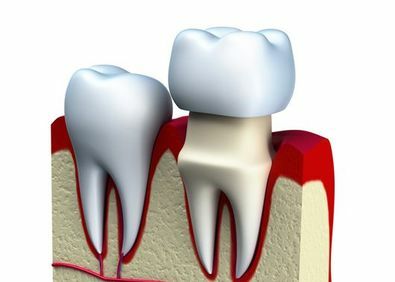 Tooth-colored fillings also offer additional benefits because they require that less tooth structure is removed for placement, and the material bonds directly to your tooth structure, providing additional strength.